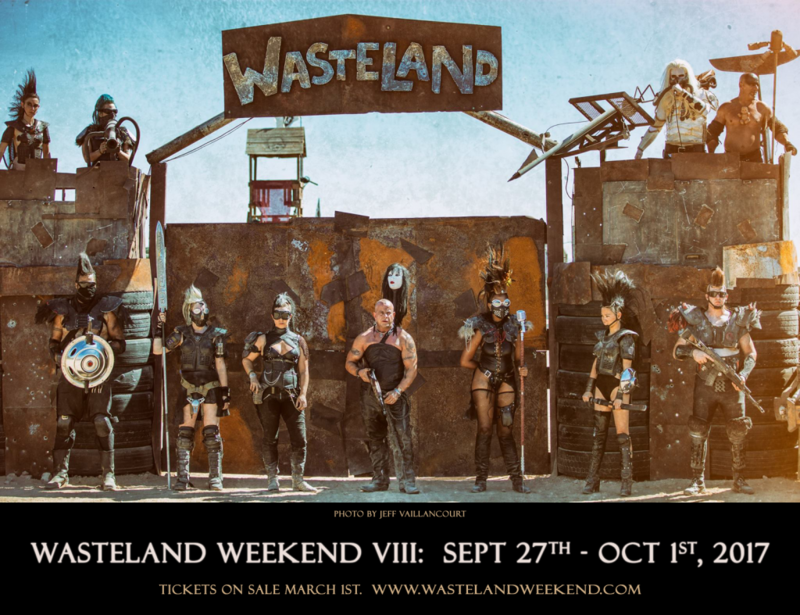 Wasteland Weekend 2017 official dates announced: September 27th – October 1st. This year’s event begins on Wednesday for all attendees! We’re expanding to FIVE days of post-apocalyptic mayhem! Tickets go on sale March 1st. More details (including ticket pricing) in the coming weeks.